After a long hiatus from streaming, Byron “Reckful” Bernstein is back. The longtime World of Warcraft player—and one of the pioneers of Twitch—has reignited his stream with GTA 5 roleplay. 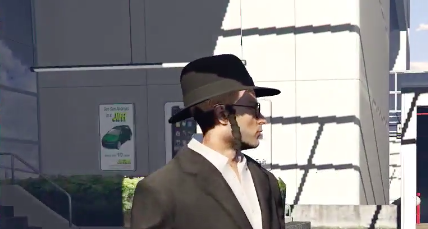 Just like many other popular streamers, Reckful followed suit and created his own character on the NoPixel server. Reckful entered Los Santos airport with apprehension. He was roleplay shy, but he soon got the hang of it. He adopted the voice of Bachir “Athene” Boumaaza, but after consideration, he decided on a Larry David Brooklyn-esque accent. This wasn’t actually Reckful’s first endeavor on the NoPixel server, though. He played once before but was swiftly banned for stealing a police helicopter and crashing into a skyscraper. But now he’s back and he’s raring to go. He named his character “José,” the wise-cracking Ashkenazi Jew. He had the complete look, too. From his fedora to his Payot (hairstyle), he had it all. Reckful hailed a cab and quickly found himself in the middle of the action. He met a cab driver named Abdul. And that’s where he came into his stride. José entered into a quiz, met new friends, and found himself as the dealer in a game of Blackjack. José made a name for himself on day one. It’s only a matter of time before he asserts his claim on Los Santos. Next, all he needs is the attention of some of the biggest personalities, such as Avon Barksdale, Bogg Dan, or even Tay Tay Tyrone.